If you are fan of poke bowls, sushi bowls, sashimi, etc., you must check out Aloha Cones on Kinau Street. They are located in the pink building on the makai side of Kinau street, between Alapai Street and Ward Avenue. I discovered them on Yelp (even though I've driven past this building many times) and finally got a chance to try them - first at the Rice Festival a few weekends ago, and just a few days ago at their store on Kinau Street. 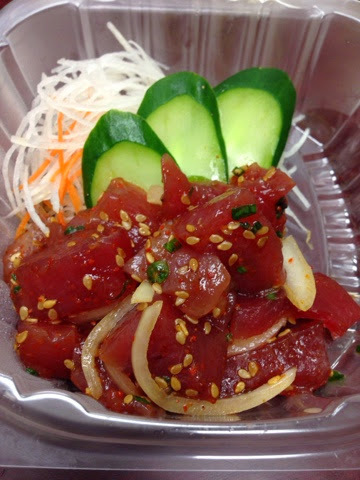 It's a small, take out eatery, that specializes in fresh seafood - primary raw seafood - spicy tuna, poke, salmon, hamachi. But if raw seafood is not your thing, they also have other things like tempura, tofu, california roll, and unagi. 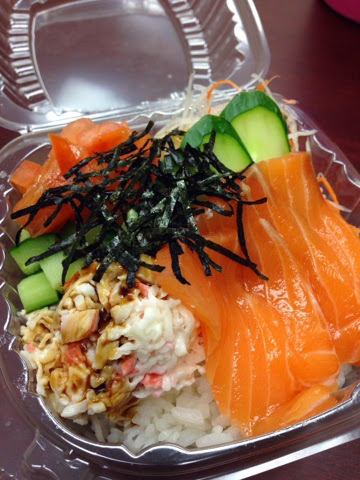 You can have it as a salad, in a shave ice cone with sushi rice, or in a bowl (mini and regular size). They have a few parking spaces in the back of the building (enter in the narrow driveway diamond head of the building) and there is only one small table for diners. Call in your order ahead of time to reduce your wait time. Mouth watering images. . . 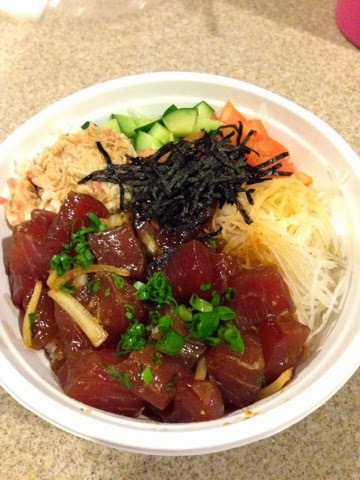 I love poke bowls more than most foods. I do enjoy good Hawaiian cuisine quite a bit. I also love seafood local to Orange County, California. The convenience is key but being near the ocean, I would think I would have more options. Oh Well. Stunning pictures.